Individually manufactured to last a lifetime, Delabole slate pet memorials can be personalised with your individual message. Our pet memorials are maintenance free, 15mm – 25mm thick and are available in honed, inversed or riven face with sawn edges. 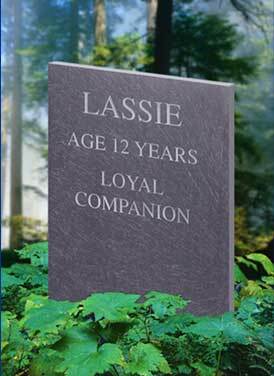 All slate pet memorial wording is centralised as standard and sized to fit.